I love guns, as it can be a part of the outdoor session. I do various activities with my guns but its quite important to keep the gun safe and Gun case can do a great job here. Guns are tools and tools need safety and proper storage which a gun case can provide. A gun safe plays a key role in gun ‘s safekeeping. A gun case is the basic requirement to keep a gun secure. Guns are tools which can turn out to be fatal if not handled properly. They require attention and maintenance. Also, proper storage of a gun is necessary in order to keep it safe from outside impacts, scratches, and extreme temperatures. A gun case in simple words is a container architectured to encase your gun and provide safety against any outside impacts or elements. Gun cases are generally made hard from outside, while the inner layer is generally soft and fluffy to provide protection to the gun . A gun case is made with the intention of protecting your valuable gun during every situation. A gun case does a great job in the safekeeping of your gun. It prevents any accident which may occur while you are carrying your gun. As the name suggests, hard cases offer hard and sturdy exterior. Sturdy exterior protects the gun from any kind of outside damage. Hard gun cases are the best, especially while carrying a gun on a journey or for long distances. Hard gun cases not only provides sturdy exterior but also provides the great interior with dense foam which protects your gun from outside impacts and restricts any movement of the gun inside. Also, locks associated with hard gun cases are quite sturdy and well built. This becomes very important when you are living with a family or surrounded by people, as without a proper lock, anyone would have access to your gun which definitely is not a favorable thing to happen. As far as durability and overall protection are concerned, a handgun case is something you can look up to. These gun cases are expensive but live up to their reputation. Soft gun cases are less expensive than hard gun cases. As the name suggests, soft cases don’t have a sturdy exterior. They lack durability and strength when compared to hard gun cases. Since their exterior is not that sturdy, it provides less protection than hard sided cases. Moreover, the quality of the interior varies a lot in soft gun cases. The interiors are made from different types of materials like cotton, leather, and nylon. Thus, their durability and protection level differs a lot. Since some soft gun cases offer a thin interior, the movement of a gun is not restricted on the inside which may lead to certain consequences since the gun is not completely protected from heavy impacts. The exterior too can create a problem with soft gun cases as it is not sturdy enough. Also, soft gun cases usually come with zippers which provide way less security than hard gun cases. Locks associated with soft gun cases are also small and fragile and are not a great security option either. Soft gun cases are light weighed and easier to manage. If you live alone, a soft gun case may be the suitable option for you. But at last, security matters and soft gun cases are not really a reliable option. This gun case solely fulfills the demands of hunters. Hunters usually require a sturdy and well-built gun case to protect their guns against different climatic conditions and damage. Hunter cases are camouflaged. 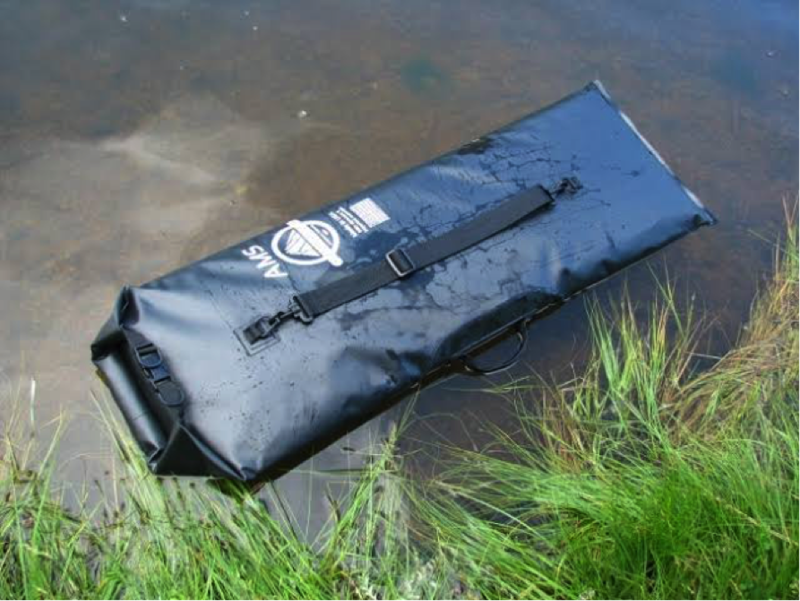 Hunter cases are generally waterproof. These gun cases are used in military and hence provide the beat protection. Military gun cases are sturdy, durable and provide the best protection. All of the military cases are waterproof and restricts any inner movement of the gun. How to Buy a Gun case? Which material is it made of?? Gun case varies widely based on the materials used. Different materials are used to make interiors and exteriors of different gun cases. Thus, it becomes difficult to choose one. Let’s have a look at some of these materials and how reliable they are. Exterior: – Wood is used widely nowadays. It is used because it provides a unique and classy look to the gun case. Although, it is not that reliable. Aluminum is the most popular material used to make gun cases. Aluminum provides great durability and strength. Aluminum can take great damage and is light weight also. Plastic and other materials are also used to make some gun cases. These gun cases are very light. 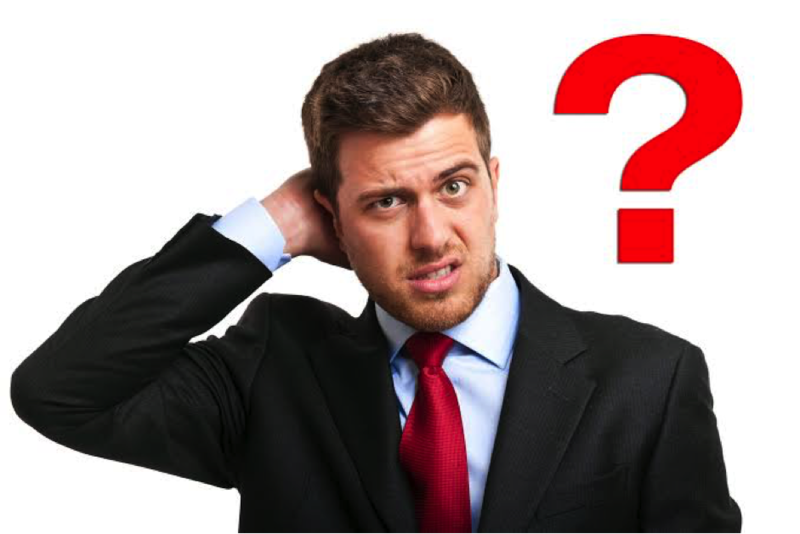 Some of the composite cases provide great durability but not all such cases are reliable. Interior: – For the interior, if a gun case, many materials are used. Some of the materials used for the interior are cotton, nylon, and foam. What size should you buy?? Always make your purchase according to your firearm. Do you want it for one gun or two? Do you want it for a revolver or a shotgun or anything else?? Buy a gun case depending on your preference. Make sure that you don’t buy a very big or a small gun case . Make your purchase depending on the size of your gun size. Generally costly cases are better. It is because they use good materials for exterior and interior of the gun case. Hard gun cases are costlier than soft gun cases and they do provide better protection and durability. But it is better to take a price range in your mind while looking for a gun case. If you have a good collection of guns you can consider to buy a Gun safe too. Look for a waterproof gun case while purchasing. This is because waterproof cases don’t let the moisture get inside the case which in turn prevents any rusting of the gun and also prevents other damage to the gun and its parts. Locks make sure that no one can access your gun without your permission. Thus, you should look forward to a gun case with a reliable lock to ensure the safety of your firearm. If you are living with your family, a gun case without lock or with an unreliable lock may lead to accidents. No one ever wants something like that to happen and therefore, you cannot neglect the importance of a lock. No matter for which purpose you are using your gun, gun cases ensure the safety of your gun to a great extent. A good gun case is an answer to a lot of your gun security problems.Choosing a good gun case is significant and should be done wisely. Make sure to make your purchase regarding all the points listed above and also according to your personal preference. At last, the durability and safety of your gun and gun case come down to how well you use it and maintain it. Thus, buy a well-designed gun case and maintain it properly to get the best out of it. Gun cases have been providing basic protection to our guns for a while now. A high-quality gun case not only protects but also improves the lifespan of your gun. Impacts, moisture, bangs, extreme temperatures or any other outside element, gun cases protect our gun from everything possible in their ability. With advancement in technology and ideology, gun cases are becoming more reliable. With tons of companies trying to establish their roots in market and thousands of choices of gun cases, it becomes difficult to choose one to secure your gun. Here is my pick of 5 best gun cases. These are the five gun cases which I found best in terms of protection and features while going through thousands of gun cases. 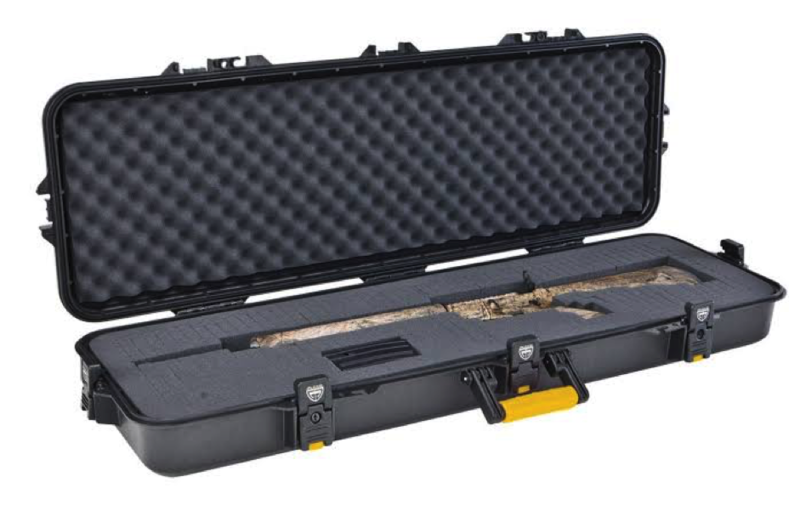 Pelican 1720 long case with foam has every feature an ideal gun case should have except weight. It is a well built hard case which waterproof, airtight, dustproof and chemical resistant. The case has a 3 piece foam set interior which protects your firearm from any kind of outside impact. Ultra high impact structural polymer makes it extremely rigid. Stainless steel padlock protectors and hardware enhances the durability of the case. Also, the case comes with additional 2 side folding handles. ★Stainless steel hardware which ensures durability. ★Stainless steel padlock covers which increase safety. ★Three piece foam set interior provides great bang and impact protection. ★Easy to open double throw latches which make it easier to use. Plano molding all weather tactical gun case is second on my list because it is literally the best in its price range. It is a well constructed, tough hard case which provides great bang protection. The pluck foam on the inside allows your gun to fit in properly and can absorb huge outside impacts. The case is airtight and watertight and hence can withstand extreme temperatures. The latches are well engineered and are spring loaded and can be locked for enhancing the security of your firearm. The handles are quite efficient and convenient for traveling. All the features make it a versatile , durable and ideal hard gun case for an economic price range. ★Well constructed from the inside and outside. Condor single rifle case offers a great protection value for its price. This case is probably the best soft case available in the market right now. It is made from strong and durable nylon type fabric.The case is fully padded and provides maximum protection. It also comes with a 26” front compartment for keeping your pistols, SMG or any other firearms. Knives or optics can also be secured in this compartment. The case comes with dual zippers made with heavy metal but operates very smoothly thus providing both protection and ease of usage.The case paddings are quite thick and provide effective impact protection. The case provides three modular pouches which when combined can secure up to 14 M4 magazines. Two Velcro straps secure the weapons in place. The case is double stitched at every point and ensures durability. ★Hook and loop straps to fit any forearm inside the gun case. ★Ample storage including two modular mag pouches and one utility pouch and a 26-inch secondary compartment. ★3/4” Thick paddings ensure durability and protection. ★ Straps may lead to usage uneasiness. VISM Double Carbine gun case is another gun case which does justice to its price. It features two compartments. The primary compartment accommodates two rifles 35 inches in length. A thick pad divides the compartment into two parts and 4 straps and hooks are used to secure your firearms inside the compartment.Secondary compartment is used to store optics, knives , pistols or any other accessories. Heavy duty PVC material is used for the construction which is why the case is quite durable and rigid. Three pockets on the outside of the case are provided to secure extras during traveling. All the pockets come with heavy duty zippers which open and close quite smoothly. Also, different straps such as shoulder straps, compression straps and handle straps are provided in the case to ease its usage. ★Vast storage including two compartments inside and three extra pockets on the outside. ★Heavy padding for protection from outside elements. ★Straps and heavy duty zippers for ease of access. ★Not durable enough for the range. 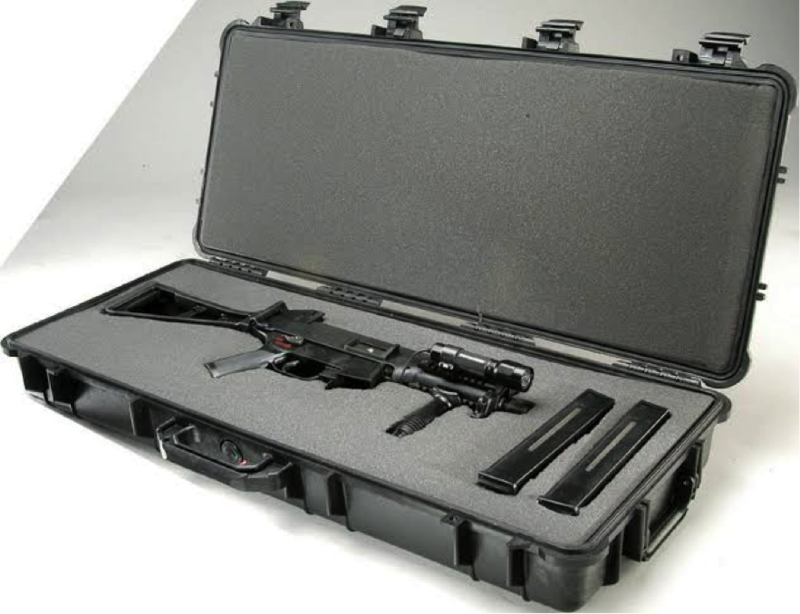 Voodoo tactical padded case is a well built, rugged gun case. It is a very well crafted soft gun case. It is one of the most durable cases available in the market.It is very well stitched and paddings are quite thick which makes the gun case very durable.Also, the paddings are denser on the edges protecting the rifle compartments. The foam paddings also provide impact protection to a great extent. The gun case has lots of space for your firearms or extras. It comes with inner zipper compartments divided by pads. Moreover, two velcro pockets are offered by the case for carrying your handguns. All the zippers have locking zipper pulls which enhance the protection of your firearm. The locking zippers have only one eyelet each and are easy to put together. When putting together, these eyelets provide better side to side movements without putting any stress on the zippers. The straps are also a very positive part of the gun case . All the straps including shoulder straps and handle straps are ideal. Double padded shoulder strap makes it very convenient to carry the case while traveling. ★Extremely durable.One of the most durable gun case. ★Well built straps make it convenient to use. ★Vast storage space with two inner compartments and additional Velcro pockets. ★A little heavy regarding its a soft case.